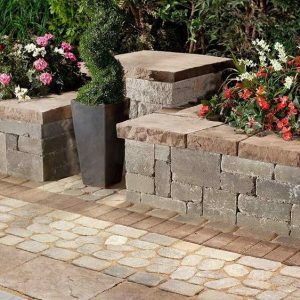 A 6″ x 16″ double-sided segmental retaining wall, with tapered sides and an independent mechanical interlock allowing for a vertical or battered wall. 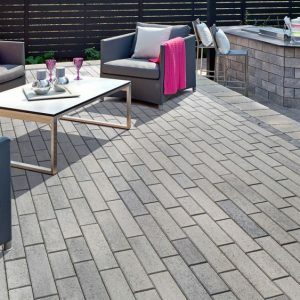 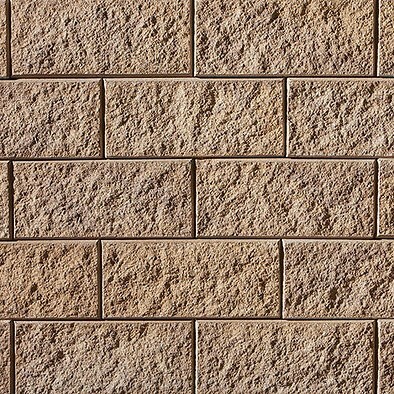 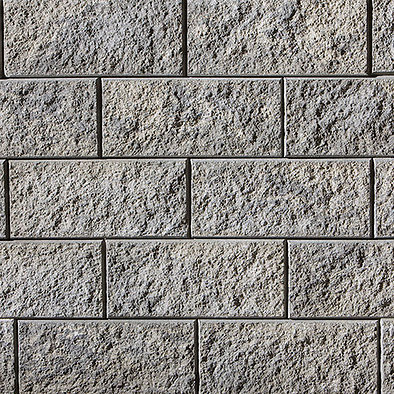 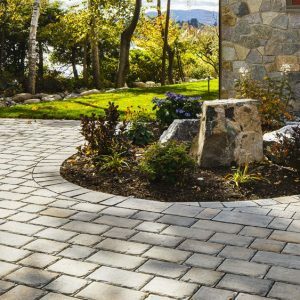 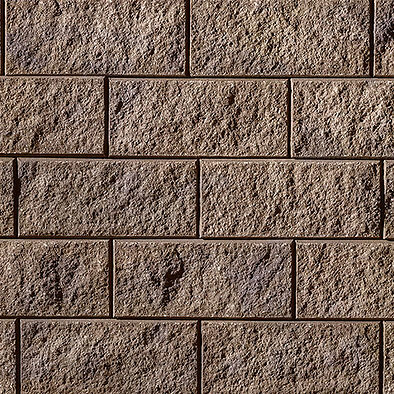 Semma also has tremendous shear strength (block to block contact), void fill interlock (4 cored system with contractor gravel-filled cores), and a ½” bond for joint dispersion. 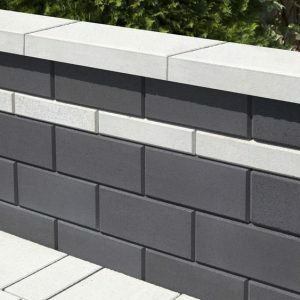 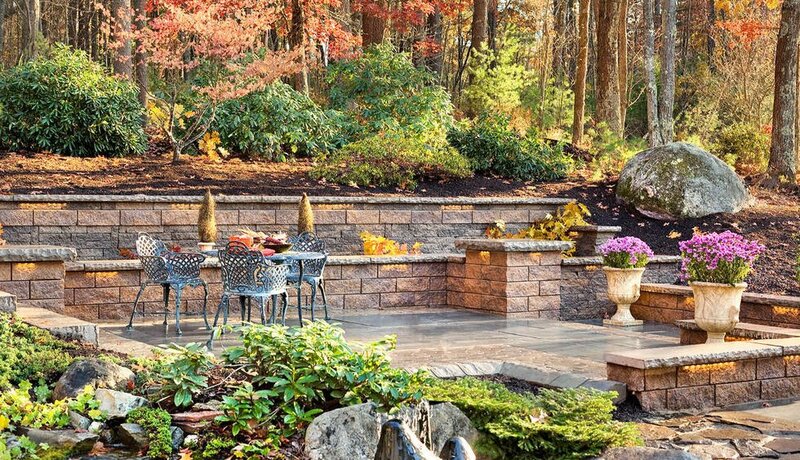 Semma wall, with an integrated corner on every layer, makes a great solution to the raised patio quandary: building a structural wall and topping it with a parapet (free-standing wall). 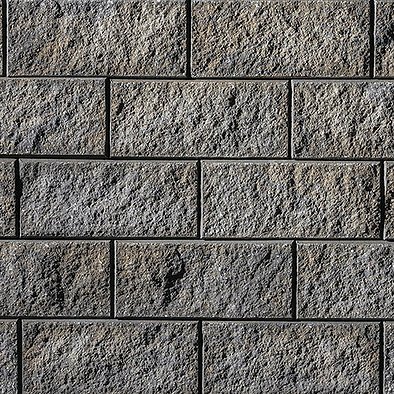 Use the Semma pillars to finish or add drama or light features to your wall.